Clearly there is something sort of interesting and unorthadox about this golden ale. Just look at that sheep; it looks to be enjoying itself way too much for there not to be a sinister purpose behind it’s grin. Not really sure what the brewer’s were thinking in terms of the name, but the beer itself is a bit of a cultural rarity and is likely only available within the township surrounding the city where it is brewered. It’s doubtful in my mind that you would even be able to find this on draught in one of Scotland’s larger cities. Oh well. Maybe I will find out when I actually travel there on a European beer tour. Until that day I can only speculate. But it is not a bad beer in general. A nice golden color as the name would suggest, a handsome head that lasts only for a brief time and a coppery, malty nose. The flavour is well balanced, clean and tastes as if it was brewed with water taken from a brook filled with mossy, algae covered pebbles (to me this is an excellent flavour). Quite easy drinking; pretty good. If I was in the area I would get it again, but nothing really spectacular. A treat nonetheless, because I doubt I would ever have found this beer myself. Thanks to Michelle for supplying me with this beer from Edinburgh, Scotland. Obviously I couldn’t have gotten it myself because I doubt this is popular enough to be exported to Canada. Thanks for the share, buddy. I was extremely excited when I came across this gift set at the LCBO in Lindsay, Ontario. I had read about these beers before, and never expected to be able to try them without first catching a plane to the United Kingdom. What is very characteristic and noteworthy about this collection of beers are the flavours used in their production. Each beverage contains a unique mosaic of ancient herbs and flavours that are currently extinct in the modern manufacturing of beer. If I may get technical for a minute, I would like to point out what I believe to be a great flaw in the current regulations and standards when it comes to brewing beer. All of these beers within this Gift Set (except the Alba Scots Pine ale) contain hops, which are the female flower clusters produced by the Hops plant (Humulus lupulus) which is a clambering, fast growing woody vine. These, when dried and added after the fermentation process, help preserve the eberage and add that farmiliar bitter bite. Several centuries ago, English law made it illegal to produce beer without adding hops into the mixture, so a standard could be set in terms of preserving the beer that would be consistent. This may not seem like such a big deal, but on that day a great deal of experimentation in terms of flavour was abolished, never to be revitalized. In the process, this cut off the world of other herbs and plants as flavours that by a long-shot outdated hops as a flavoring ingredient. This gift pack, however, takes the brave adventurer back to a time before hops were a popular additive, and other plants were utilized which had a great variety of different flavours and aromas. Before hops, there was a seemingly endless number of plants that could have been included to produce beers with outstanding taste and texture. Although beers can have added flavours, there is always hops, which has a very overwhelming flavour that with it absent in the beer allow the other flavours to appear much more concentrated and pronounced. Anyhow, lets see how other herbs were used before today’s antagonist, hops, entered the scene. The recipe for this beer was invented approximately 2000 years B.C. which likely makes it one of, if not the oldest, beer still produced in the world. Heather is a flowering Ericaceous (Thanks, Ionatan) plant, related to Blueberries, which grows unimpeded in the acres of moorlands and sloping hills in Scotland. The flowers are gorgeous in full bloom and heavy with perfume. 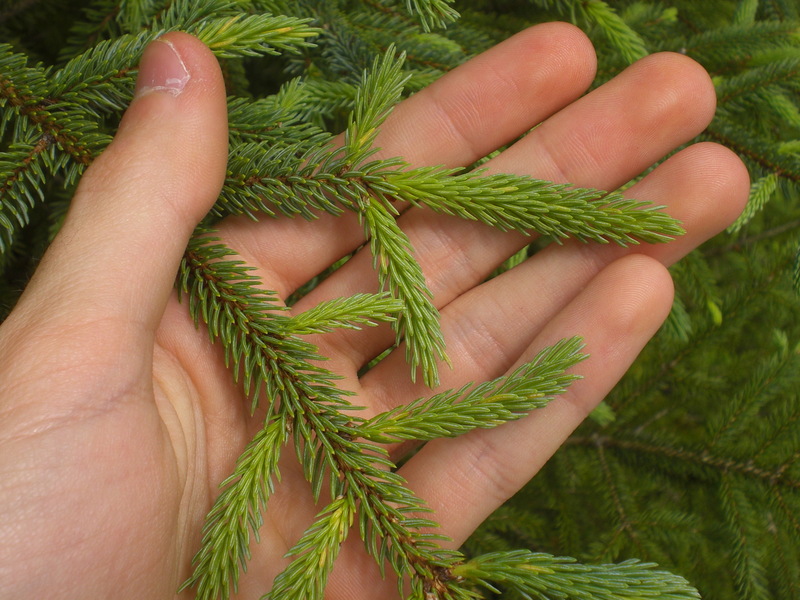 The evergreen leaves are tough, spicy and blotched with resin. The heather leaves, which are gathered in August and September, are added along with Sweet Gale (another heavily aromatic bog plant) to the Malted Barley, cooled down and then poured over a fresh bed of Heather flowers. This mixture is left to steep for an hour before being full fermented. Given that this beer has been around for so long, it already gets points for probably being the world’s oldest recipe. The aroma is heavy of earth and peat as well as moist. The flavour is pleasantly spicy and resinous, reminding me of my time spent in Algonquin Park among thick beds of Sweet Gale along the borders of marshes. I love the damp, fresh quality to the beer. 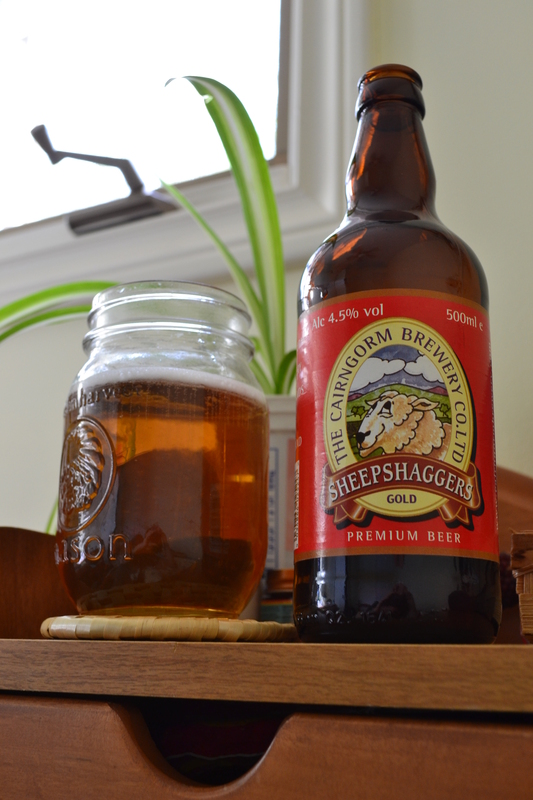 The finish is mildy sweet and tangy, a great easy drinking beer but one that can also be savoured since it is quite rare for those of us in Canada. This was my favorite beer from the set. This beer is great. It is the only one in this gift set that holds true to the lack of hops, which I was very surprised to see. It is extremely difficult to find a beer anywhere that is not produced with hops, so to actually find a beer that lacks the hops and lets the other flavours shine in their full potential is a real treat. This beer is steeped in the fresh, tender green shoots of Spruce and Scots Pine (Pinus sylvestris) which grow in abundance in the high, rocky outcroppings of the Scottish highlands. These impart a hearty, well rounded freshness that I have never experienced with another beer. The spicy attributes remind me of the damp spring forests, dripping with dew and early spring flowers unfurling from their earthen sleeping quarters. This beer is also unexpectedly strong, which is not easy to detect as the lack of bitterness and sweeter earthy flavours hide the alcohol very effectively. Perhaps more of a bite with the Spruce and Pine flavours, which I feel could have spent more time in the spotlight, but besides that I enjoyed this very much. This beer was very hearty and full of dark, fruity notes. Elderberries (Sambucus) are a wide variety of shrubs that grow throughout North America and Europe and bear large dangling clustered of dark, seedy berries on their terminal branches which follow fragrant white flowers in early summer. 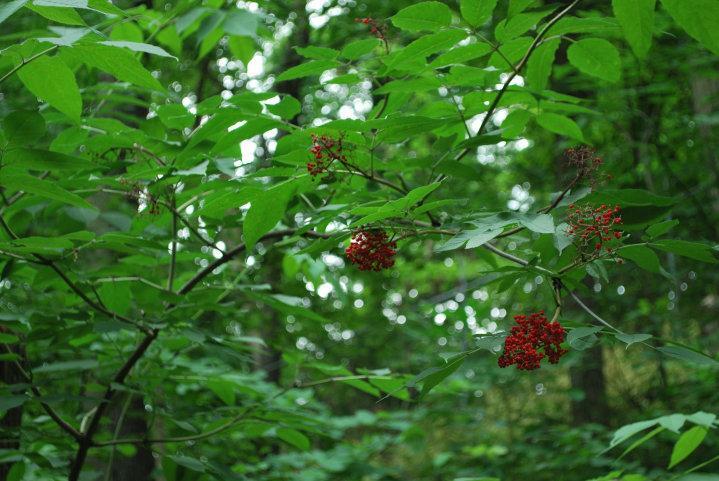 The name of this family, Elder, describes the shrub has a key component to it’s ecosystem, and the Native Americans believed the spirit of the Elder shrub ‘showed the way for the other plants and nearby animals, telling them how to live and grow harmoniously with all other life’. This ancient epistimology is mimicked with the addition of such a culturally significant herb featured witin this beer. Elderberries are very sweet, rich tasting berries that are sometimes used for wine and preserves, but never eaten right off the shrub because of their seedy nature. The berries contain a rich variety of antioxidants and produce a powerful dark purple or black color to the beer. Another strong one, the alcohol content balances well with the fruity notes that are more potent on the aftertaste. Not as earthy or wild tasting as the other beers, this is one you are more likely to enjoy if you are not a fan of the more peaty, resinous beers. All in all, if you would like to experience beer before it was what it has become today, and are a fan of exploring the palate in terms of more bitter, earthy and ancient flavours then I highly recommend picking this up whenever it is available. It is likely too late in the season now, but I am sure these will be around next year. 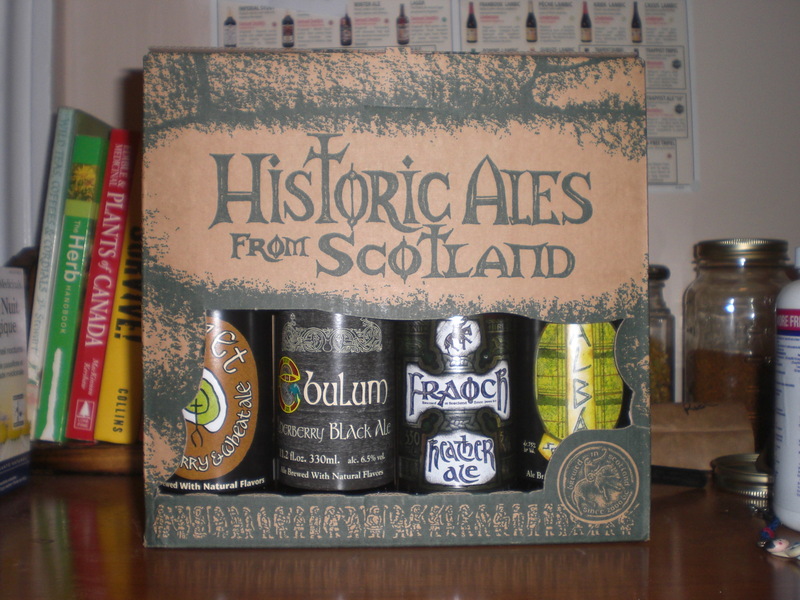 There is also a Seaweed ale included in the Historic Ales of Scotland gift pack that I never got to trying. 5 beers, only 4 in each gift pack. I feel like this was intentional, but beer is also a business, and to sopport a collection of beers as good as this, I would be happy to purchase a second pack to experience them all and have a few extras of my favorites. Hops is a delicious herb, I have nothing against that, but I have an issue with how the introduction of this one herb to the beer making process that by being standard, it elliminates some other flavours that could be just as good. Just saying, give the little guys a chance. 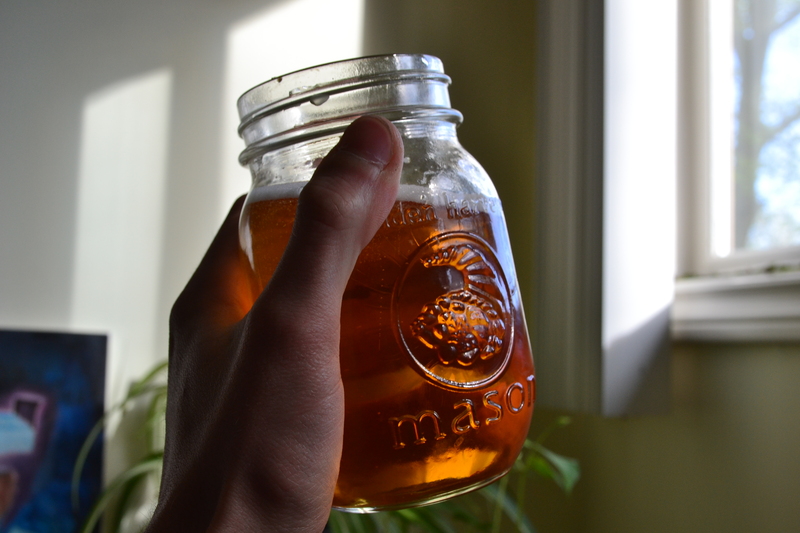 At some point I would enjoy very much making a beer made with Calamus root (Acorus calamus) or Labrador-Tea (Rhododendron groenlandicum) which are two aromatic plants found in our midst here in Ontario. Hops is great, but there are some things that it can’t top. 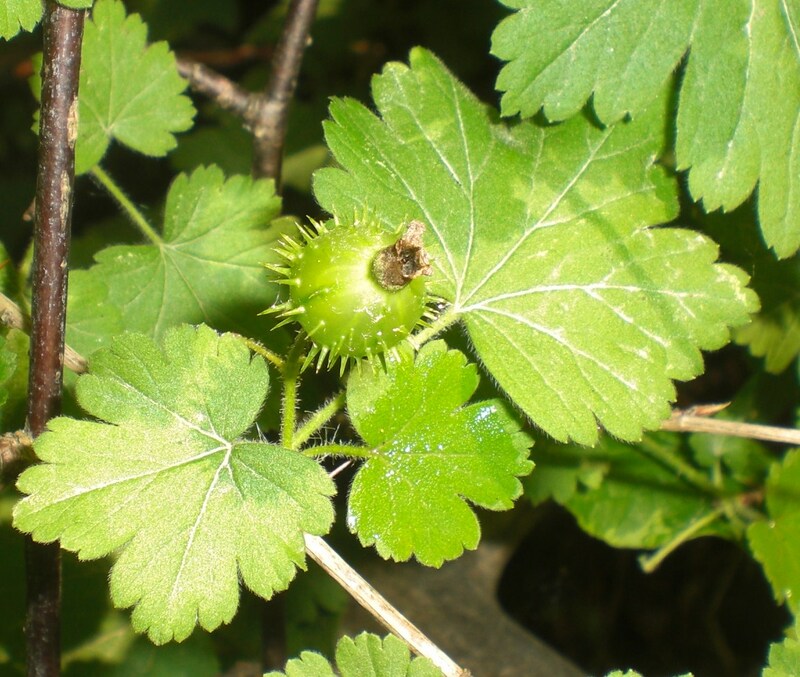 3) Wild Gooseberry (Ribes ssp.) growing in the shade of Maples near Crawford Lake Conservation area near Burlington. 4) Red Elderberry (Sambucus racemosa) in fruit at the Royal Botanical Gardens, Photo credit to Erika Fung. 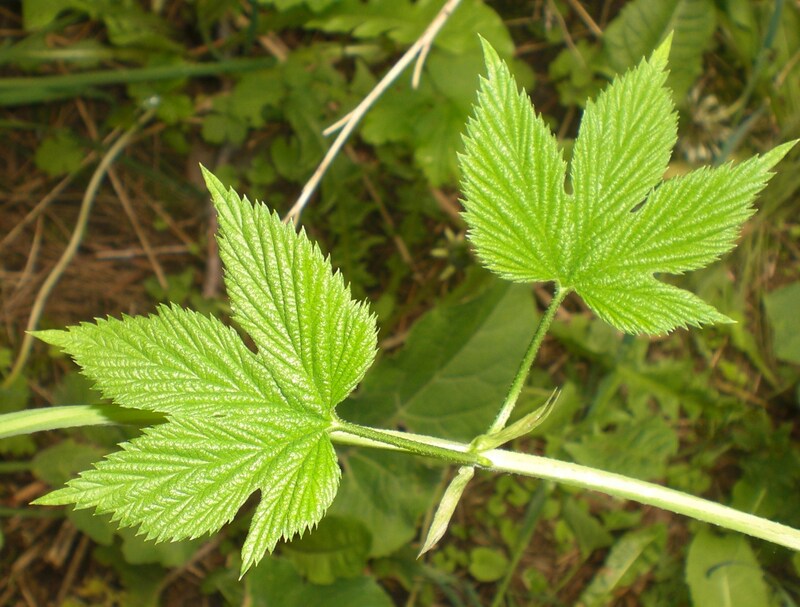 5) A wild Hops plant. Although native to Europe, some times the vines escape in wild areas and bear fruit. This plant was found near Crawford Lake Conservation area near Burlington.